These delicious Easter Cake pops are so adorable, and the absolute perfect recipe to celebrate your Easter! With a sweet vanilla base, and a chocolatey shell, these eggs are not only delicious, but absolutely beautiful! These eggs are so adorable! 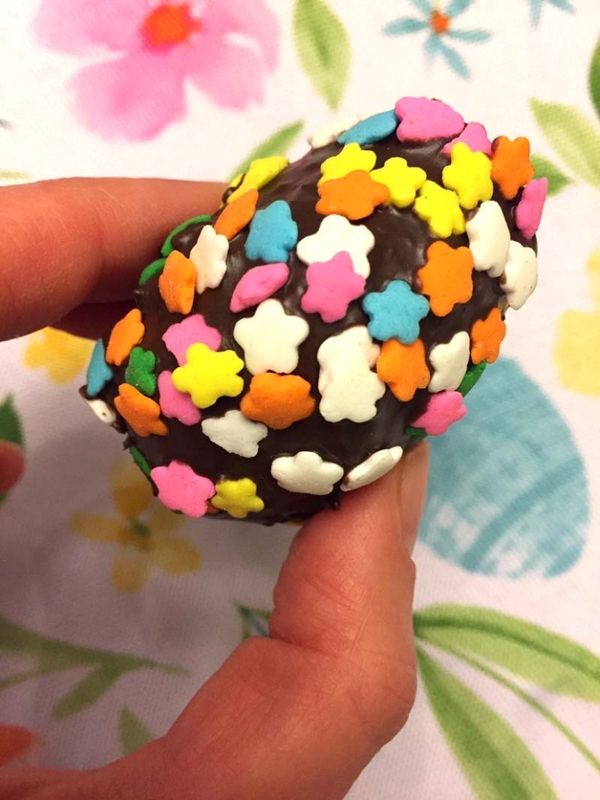 They are shaped like Easter Eggs, and with their chocolate exterior shell, the flower sprinkles perfectly contrast with the brown chocolate. 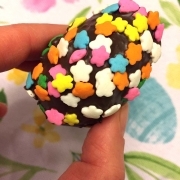 In addition, the flower sprinkles are perfect for Easter, and really add to the festivities! These look like realistic Easter eggs, and everyone will enjoy eating this wonderful creation! These Easter eggs have a dense vanilla base that is sure to leave everyone addicted! The cake base is one of the best parts of these cake pops, as it’s texture is incredible! 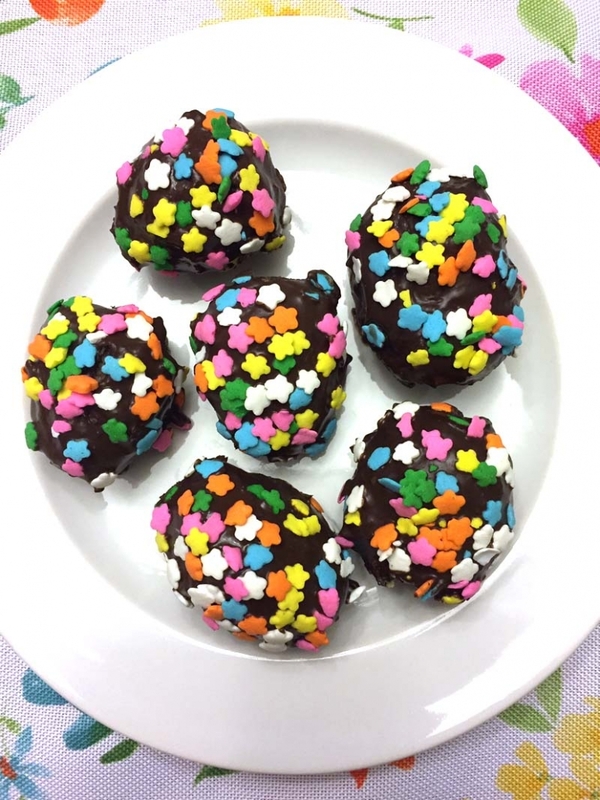 The chocolatey shell is crunchy and light, and has accompanies the vanilla base extremely well, and the flower sprinkles bring an extra crunch. Overall children and adults will love these cake pops, as their sweet taste will appeal to everyone, even the most picky eaters:). 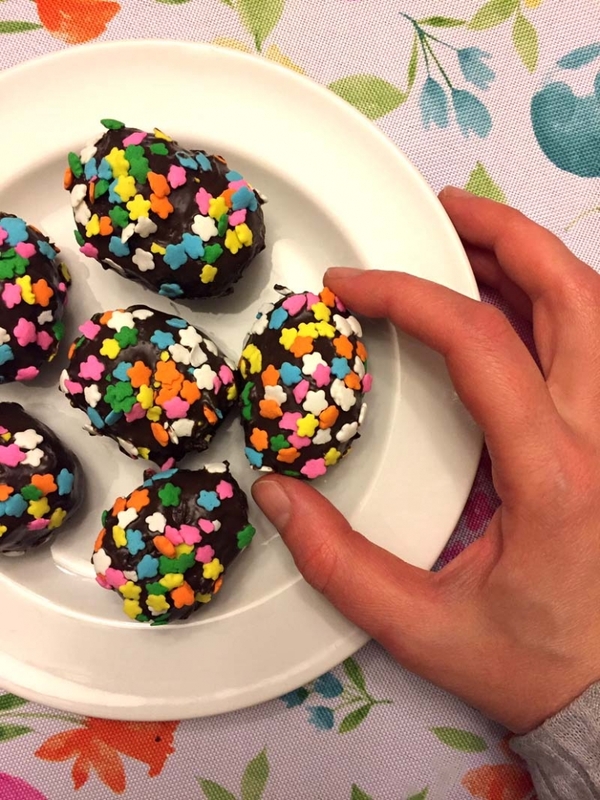 These cake pops are the perfect craft for kids to make! 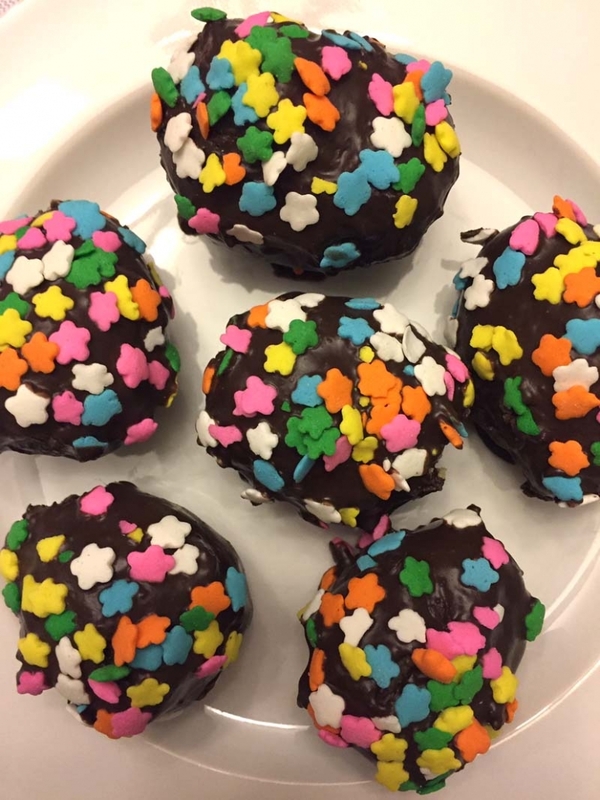 These cake pops are SO easy to make, as well as so much fun! Baking the box cake will be easy and mess free, and when the children get to crumble the cake, they will be very happy! Shaping the cake mixture into Easter eggs will also be very entertaining, and adding sprinkles will definitely be fun! In addition to all this fun, you will not have to worry about the kids messing up the recipe, as it is almost impossible to mess up! It is made to be very easy, for beginners, to make an Easter treat that turns out looking professional! Even if you are not a big fan of baking, you will definitely enjoy this recipe, as it is very engaging! To make this recipe, you simply bake a cake, crumble and mix it in frosting, dip it in chocolate, add on a few sprinkles, and it is done! It is so easy and your results will be great! If you are looking for more Easter recipes, check out this super cute Easter bunny cake and Easter peeps cupcakes! 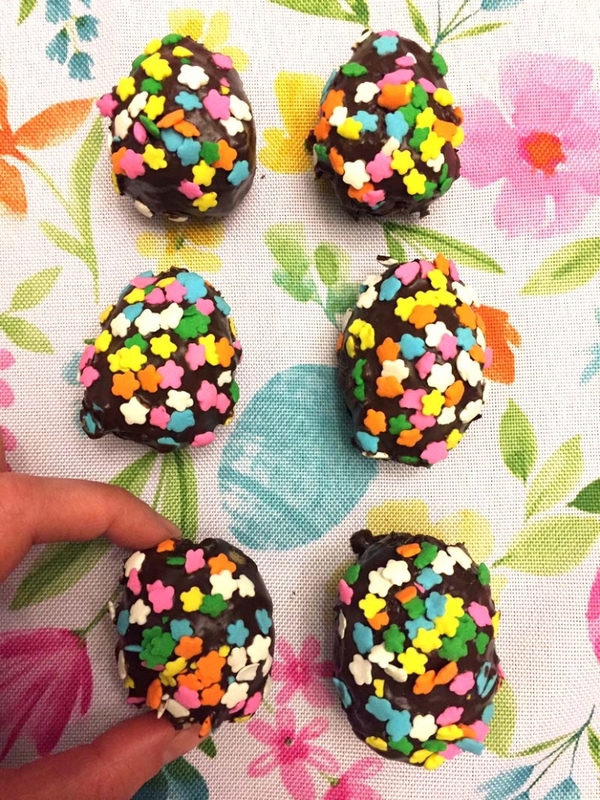 These super cute, easy to make cake pops will be the hit at the Easter table! With a sweet vanilla base, and a chocolatey coat, children and adults alike will not be able to put them down! Prepare the cake mix acourding to instructions, and bake in a pan. After the cake has cooled, take it out, and crumble it into tiny crumbs using your hands. Then add in the frosting, and mix it in with your hands until a dense mixture forms. 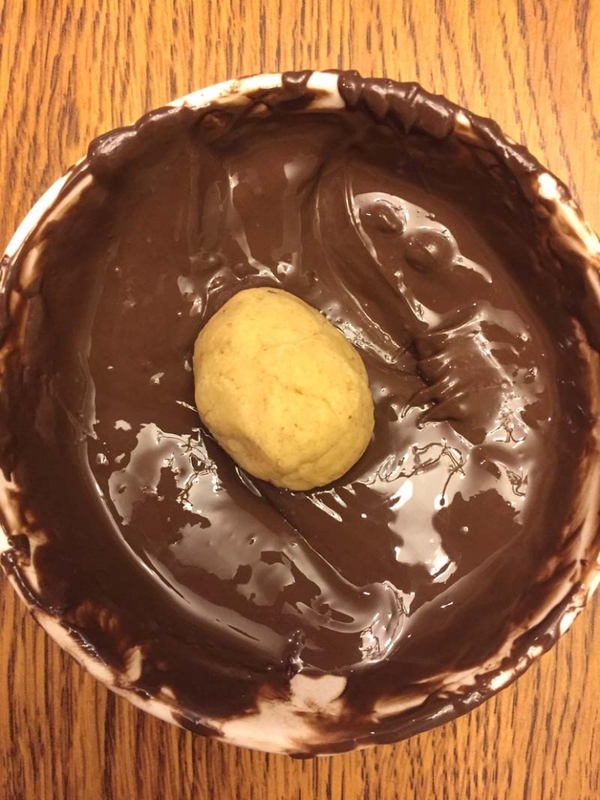 Mold a ball into an egg shape, and dip into the chocolate, and place the egg on the parchment paper. While the egg is not hardened, sprinkle on the flower sprinkles, until the egg has sprinkles evenly distributed. Enjoy when hardened and cooled. 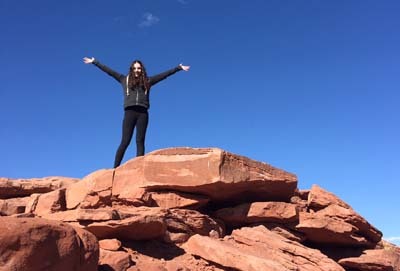 Here I share recipes, product reviews, style tips and other things to make your life more vibrant!